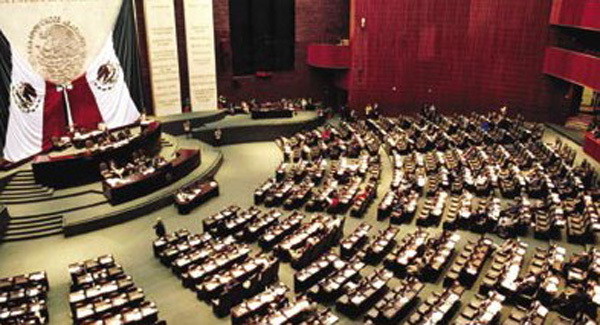 The lower house of Mexico’s Congress, the Chamber of Deputies (Cámara de Diputados) has passed the new “Law of Amparo” (Ley de Amparo), a Protection Act that has been frequently used in the past by Mexico’s wealthy and well-connected to avoid prosecution. With a vote of 360 in favour, 60 against, and three abstentions, the lower house will now send the bill to the Senate for review. From a political standpoint, the only debate seemed to be with regard to restrictions on gambling – not the proposed changes to the legal use of amparos. The Ley de Amparo is used as a preventive measure and “shelter”, with an individual or individuals going before a judge to request protection from arbitrary detention. In Mexico, it is legal to detain someone for up to 80 days (a forty day period that can be renewed once) without charge. An amparo functions something like a bail bond, and is available even after charges are laid – in fact, an amparo can be considered up until the point of conviction. Now, however, the proposed law limits the rights of a person or even a company to respond to what it sees as an act of “arbitrary authority” by the state. By no longer allowing consideration for this amparo (protection/shelter), businesses in Mexico are worried that rogue state forces – police, politicians, bureaucrats – could use their authority to either push their own unlawful interests or, more specifically, practice outright extortion. With the proposed changes, an individual wanting amparo from a perceived act of arbitrary authority would not have access to protection during a trial or “legal process”, which in Mexican jurisprudence, which is largely based on the Napoleonic code, can be one and the same thing. In other words, there could be protection from arraigo – the 80 day detention without charge – but not necessarily once charges have been laid. For Gutiérrez Candiani and the CCE, the new law is regressive in that it appears to reduce individual rights protected in the Constitution, and would unnecessarily increase the risk to business. Gutiérrez Candiani added that the resulting legal uncertainty could affect investor confidence and economic development, even stemming job creation. "The impact would be serious in sectors that contribute to nearly one-fifth of Mexico’s economic activity," he said. However, Gutiérrez Candiani and the CCE, though encouraging Congress to find other options, failed to address the reason for why there is political pressure to restrict the Ley de Amparo: its abuse by the very people that the CCE represents. Given that the amparos are given exclusively at the discretion of individual judges, they are open to widespread abuse and corruption, with Mexico’s powerful business class often using them to ensure their impunity – if not immunity – from prosecution.